Bounce 'em! Throw 'em! Roll 'em! 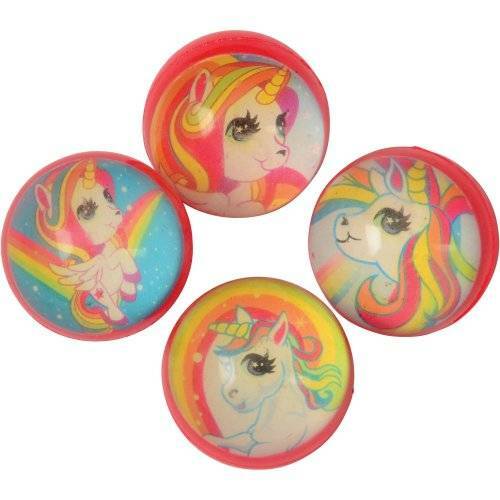 Engage in hours of fantastical fun with these unicorn-themed high bounce balls! 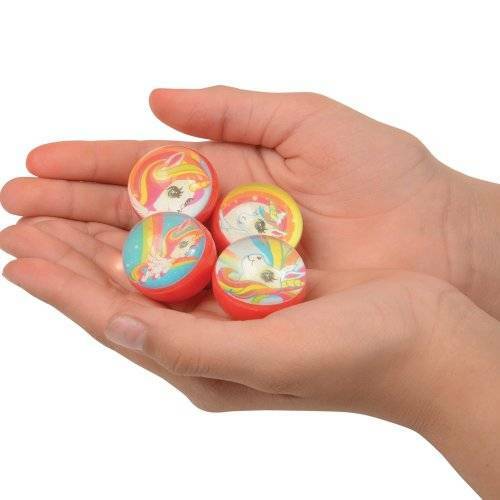 Decorated with their favorite mythical creature, children will enjoy tossing these toys around the backyard or "out-bouncing" their friends. A great party favor for your little princess's next birthday!